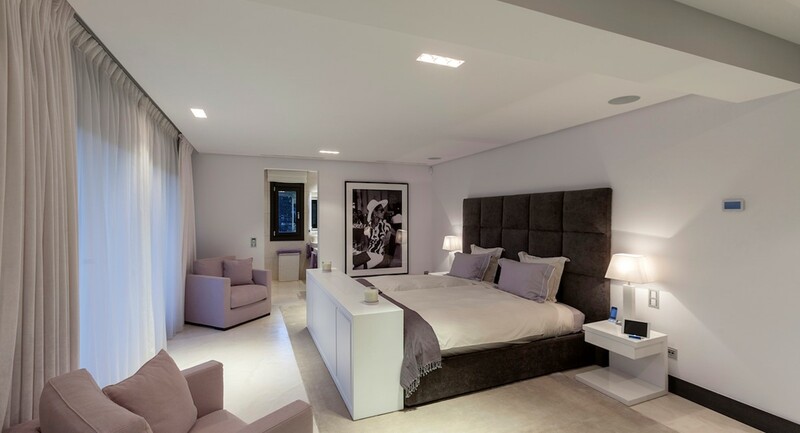 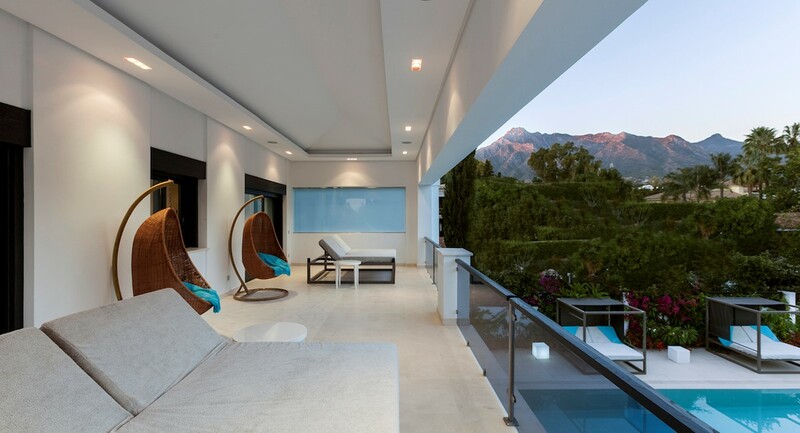 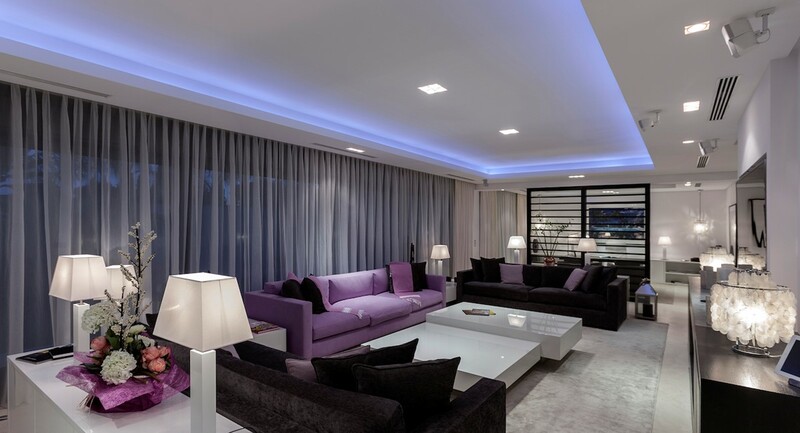 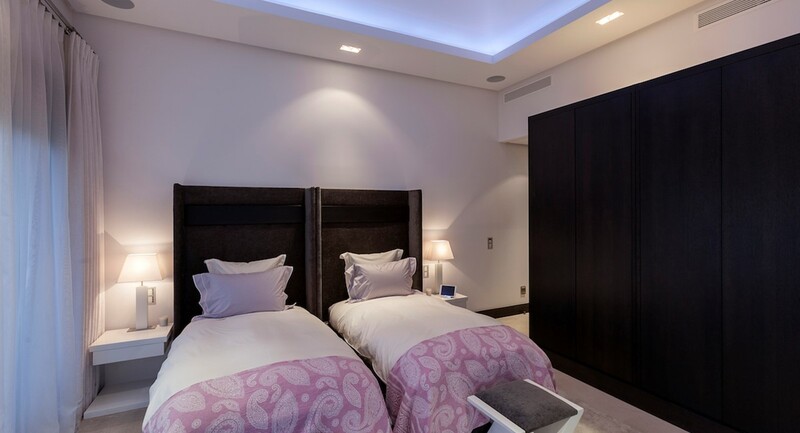 Fully automated super luxury villa on the grounds of the Marbella Club Hotel. 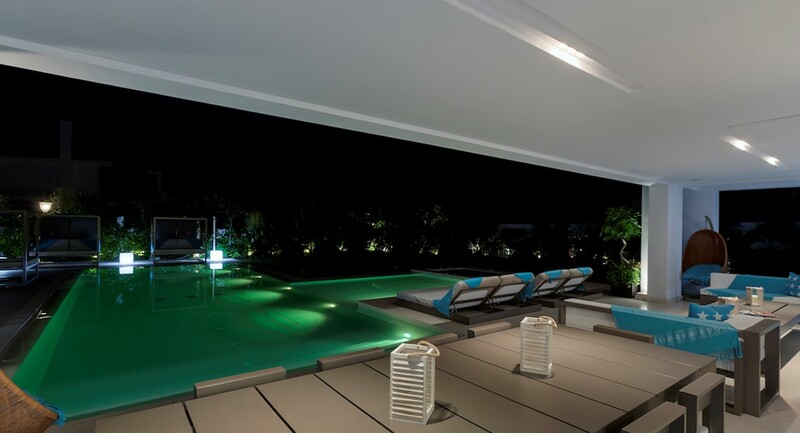 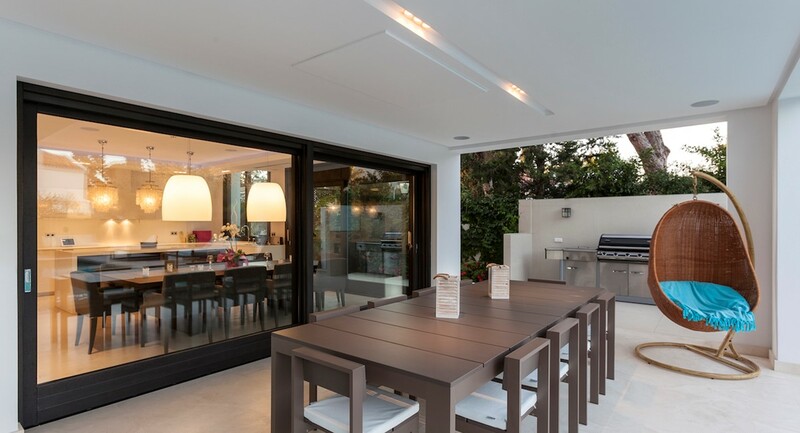 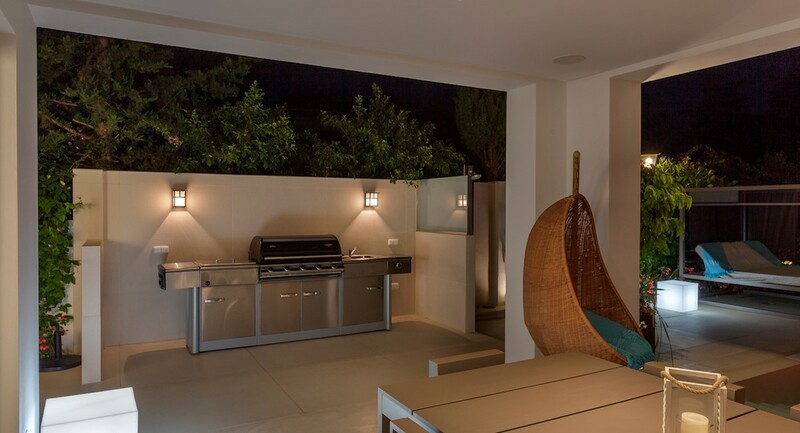 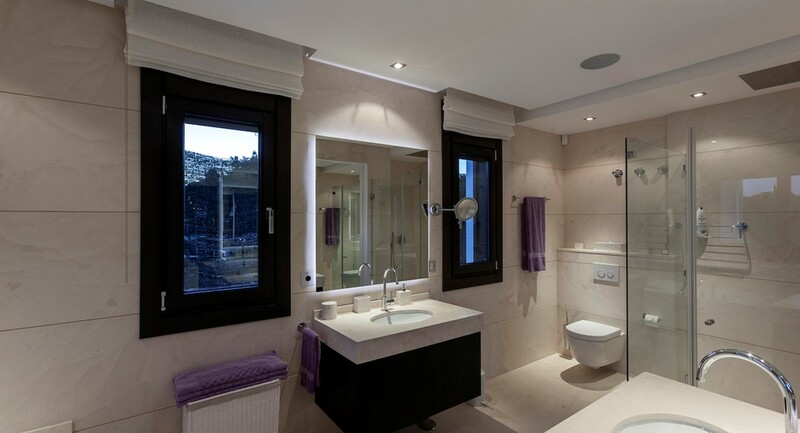 This luxury villa was completed in 2013 the villa is 200 meters from the beach. 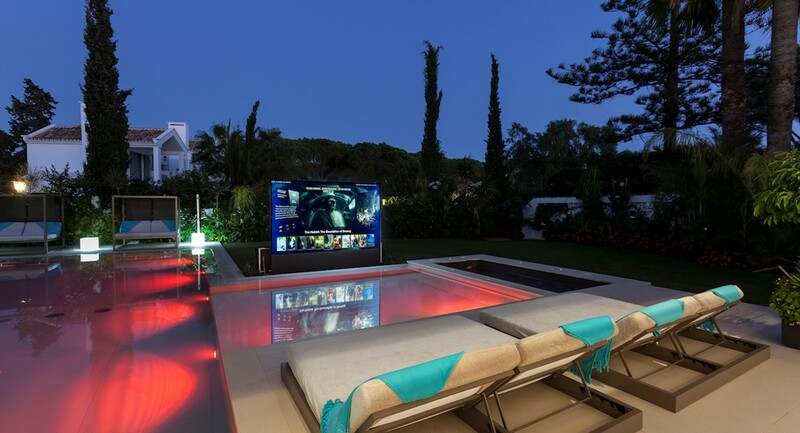 One small feature is poolside cinema !!! 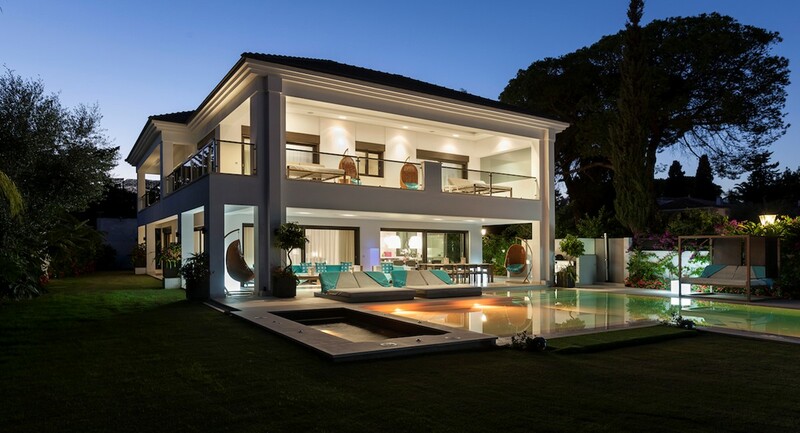 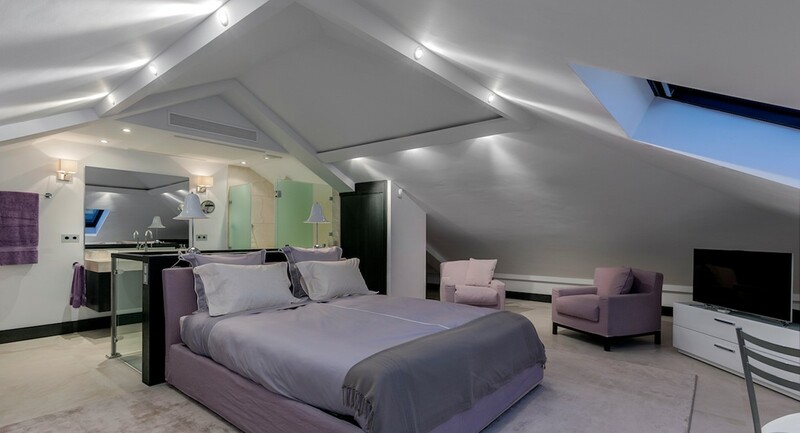 The luxury villa has four levels with elevator throughout. 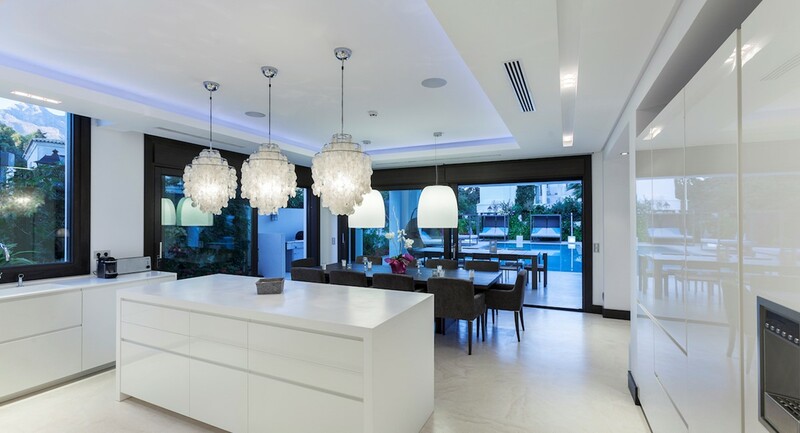 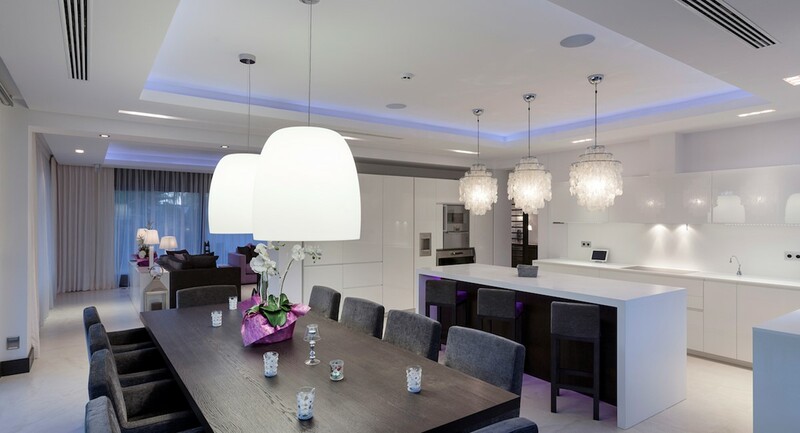 The entrance level has living room with dining area, office and the ultimate kitchen.